Cross stitch is another fun and impressive style in the world of machine embroidery! 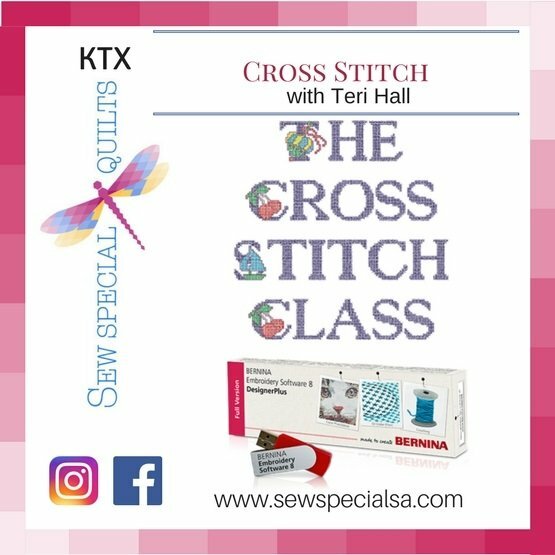 This beginner class explores all the different ways to create those memorable cross stitch designs using your BERNINA Embroidery Software. Learn how to easily develop designs, lettering, and/or samplers using built-in cross stitch fills, simple graphics and counted cross stitch patterns. Class will also cover stabilizers, fabric counts and thread. No experience needed! V6, V7 or V8.